Flicking through the various channels at dinner time, I often wonder why are there so many soap operas, why are people so bothered to actually watch them. Although there may be a hundred different psychological, marketing and cultural reasons behind it, I generally get a feel that we all like stories. Whether it is a little child sitting by their grandfather's armchair opposite the fire on a rainy winter night, a teenager texting her best mate with all the details of last nights date, two mothers telling each other of their toddlers progress standing at a bus stop, a school boy telling his mom about his day at school as she prepares dinner, an old lady reading a gossip column in a magazine as she is waiting for her hair dye to dry at the salon; it is undoubted: we all love stories. Stories you hear, stories you tell, stories you make up, stories you want to forget, stories you make sound funnier, stories that make you laugh, stories that make you cry. Stories that make you react, stories that make you frown. 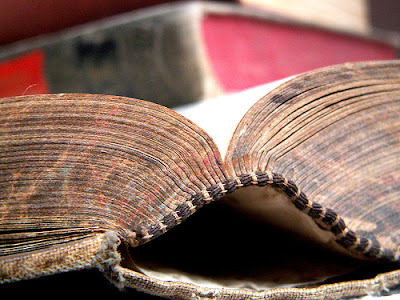 Stories that bring back memories of a much bigger story. Stories that bring you hope: because, after all, if you have made it through it once, you surely will do it again! Stories you learn from, stories that scar you. Stories that scare you, stories that strengthen you. I love suitcases because the older and more used they are the more stories they tell you. My father once bought a beige thin leather hard back suitcase at an antique fair in the early Eighties to use in a window display. 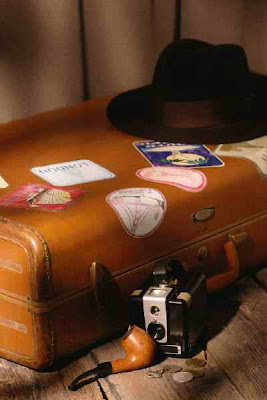 Over the years, the antique suitcase has been used for a variety of purposes. When I was a young girl I used to love passing the suitcase over to my dad, touching the soft skin, smelling the old leather, imagining who it may have belonged to, where would have it travelled, what happened. I have a bit of a thing for second hand stuff (especially books). That air of mystery that comes from the freedom to imagine a past story behind something which is now beginning a new story which I am part of. Sophisticated cigar smoking thin tall men in Paris sipping coffee in Montmatre, like freshly stepped out of a Hemingway novel. Career women smelling of expensive perfumes quickly and composedly checking in for their next connection to New York. Nuns on a train with a little baby who has finally found a welcoming family to look after him. Young suffragettes cycling to their next protest with a bag full of leaflets and a heart full of dreams. Then coming caledoscopically back to a young woman's journal. A precious, sheltered tale of life. She thinks she is alone in the world, that nobody can possibly go through what she goes through, feel what she feels. Yet keeps on reading stories others wrote to express similar emotions to her own. I love stories. I love telling them, I love living them, and I love hearing them -- how different people relate different events in their life. Which reminds me actually, I have a kind of story I was looking to involve you in. Will email you. I have a terrible confession. A couple of years back I gave away my Grandfather's old monogramed leather suitcase while in major clear-out mode. I've regretted it ever since.